Google+ may have started out merely as a way for friends and family to keep up with each other, but now Google’s taking Google+ a step closer to Facebook-dom with the announcement of Google+ Pages for businesses and other branded entities. In the same way that Facebook allows users to “like” their favorite brands and Twitter lets us to “follow” those brands, Google+ now gives us the option to add our favorite businesses, brands, local stores, artists, and whatever else to our “circles.” Moreover, it gives your business the ability to connect with your customers and keep them up-to-date on your latest news and promotions. 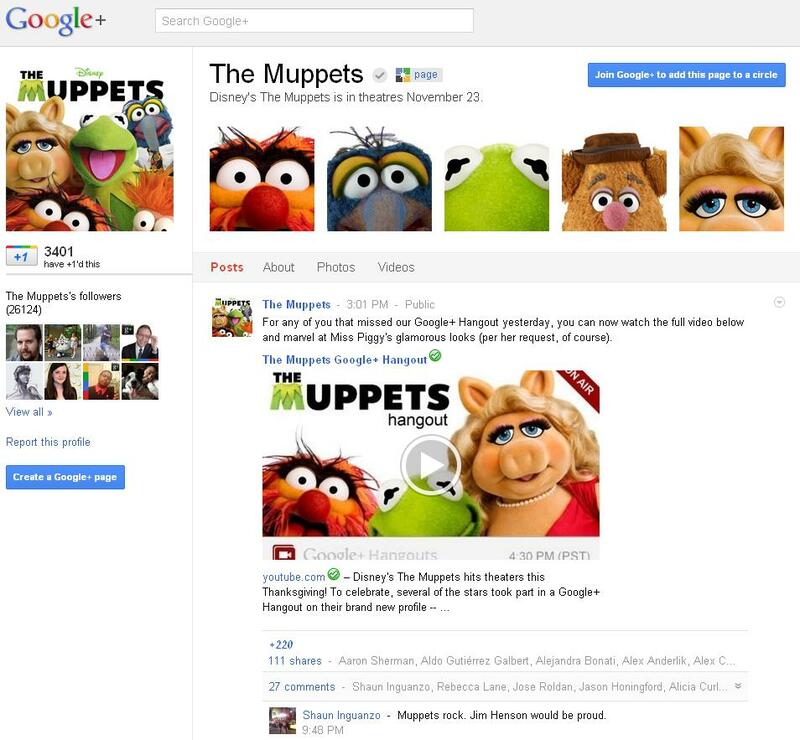 Google announced the launch of Google+ Pages on Monday with a number of partner brands, including Toyota, Pepsi, and yes, even The Muppets. With the announcement came the addition of Google+ Pages to the search results, including a new feature called Google+ Direct Connect, which allows users to search “+” and whatever brand name (e.g. +Pepsi) to be taken directly to that brand’s Google+ Page. Pretty nifty and yet another way Google is evolving the way we search. Direct Connect is only available for a limited number of brands at the moment as it’s still in the experimental stages but will be expanded to more brands over time. Want to keep up with the latest LyntonWeb news, contests, giveaways, and other fun stuff? We sure would if we were you! Add us to your Google+ circle!